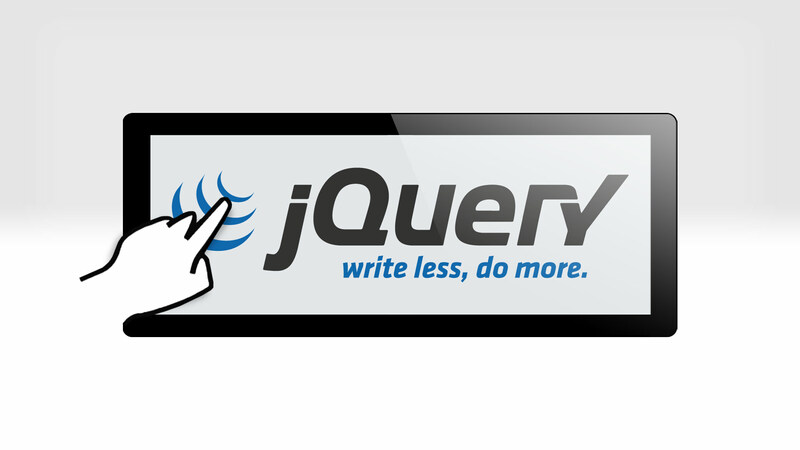 Mouseover (hover) on touch devices using jQuery. Links with mouseover (or hover) styles on touch devices are a bit of a dilemma. In short: they don’t really exist on these devices. Creating fancy :hover styles can really add to the browser experience and help simplify your layout, but they simply will not work on a touch device. When a tablet or smartphone user taps your hover-styled link elements, the hover style shortly appears, and immediately the underlying link is followed/activated. User taps link A again -> link A is opened. User taps link B -> mouseover for link B is activated and the hover style for link A is deactivated. Another thing to keep in mind is that if a user taps link A, then taps link B and then taps link A again, it should not consider link A as being tapped for a second time (which would lead to the browser to open the link). Does the link have a hover class? That’s it, this should do he trick. I’ve set up a working Fiddle here. Visit it using a touch device, or using debug tools like Chrome’s web inspector, which can simulate touch. Note: the script will traverse the entire DOM, looking for .taphover links on which to remove the hover class. This is potentially inefficient, so adjust it as you seem fit. I suggest using a selector context for optimizing performance if needed. * Note that binding to the touchstart event, and setting preventDefault() in the process will cause any other touches on the element(s) to fail. This means that if a user starts swiping/scrolling, starting on one of these links would disable the swipe. A work-around is to sniff out touch devices with something like Modernizr, and then binding to the regular click event. Hello, I came across your website and found your fix for smartphone mouseover and hover fix. Great, thanks! Worked like a charm. Thanks for your script, works well. Is it possible to remove the hover style after the second click ? In my case, i have a gallery of items. First click on the item shows the title of it and second click open a full screen modal. When I close the modal, the item is still styled with hover css. Here is a link to my website (work in progress) : http://www.gvk.design (I apply your solution on the first item in the gallery). Hi. I’m trying to create a div with a heading and icon, then use your (brilliant) script to swap out the content of the div with some descriptive text on hover/tap. Am trying all kinds of combinations to make it happen but just isn’t working. Can you suggest a way to set this up, using your script, so that it might work? Thanks very much. Thanks so much for this brilliant piece of code. I’m developing my own site and it’s just what I need (and what others said was impossible). I’m having trouble getting it to work on my WordPress site though, so any advice you’d have would be MUCH appreciated. I’m an amateur so… that being said, I’m trying to get this to work for several classes on my masonry portfolio. I tried replacing the classes in the code and patching the snippet into scripts.js, but it only alternately did nothing or crashed the site. My jQuery is nil, so it’s possible I have a syntax error, or putting it in the wrong place in scripts.js or perhaps it shouldn’t be there at all. Please any advice would be so helpful. Thanks again for sharing this sweet patch. The code looks fine, although I strongly suggest to keep it down to 1 script, that targets several links, instead of multiple instances of the script, for each link class (as you did now). Just follow my instructions to the letter and you’ll be fine. Thanks for your reply! This site is mostly viewed on Safari. I took your advice but seem to still have a problem. As it’s a WordPress site I put the script in the footer. And get an invalid character u8216 syntax error on the first line… Here’s what I put in. Any thoughts or advice which be much appreciated! This method is working for android well, but for IE (last version for may 2016) on mobile is not working, I click on the link1, link2, link3 and it does not stay red, it is quickly change color, red > gray > then it unselects (white again), and I could not make him stay in red bg. Any suggestions? I am working on a site that uses jQuery hover triggers for displaying submenus and following your example helped me out with this issue on touch devices. Doesn’t seem to work. Am I missing something? Thanks! Nevermind, I had a transparent div floating above I forgot about. Took it out and it works great! This is such an awesome little script. I’m using it on all my projects from here on out as I’m a hover junky. thanks a lot, you made my day, this solution will help to solve my problem with hover menu. Nice one, storing the url in a temporary data attribute. This will indeed solve the issue. Only caveat I can think of is that when removing the href attribute, a link will be styled differently by the browser, but nonetheless this is a good approach! Short and simple solution! Thanks for sharing. Just wanted to add my thanks, great solution. Had to add my thanks for this, works perfectly. Thanks for this. Worked a charm. I thought I was going to have to code a duplicate page with a mobile-friendly alternative to the hover function, and everyone has told me that would be the case, but remarkably your page url stays the same on a mobile device and you have achieved it on the single page. I don’t need the fancy effect you use, (which is very effective in achieving what you want it to nevertheless) so all I need is the swap image part. Any help you can provide would be fantastic – thanks! I would of course attribute. Thanks for the tip. It will be interesting to see how things change on the web as the “hover” state on objects becomes more obsolete since more and more people are using touch devices. Nice one, thanks. Great to hear my post was of use to you! There is an issue with your code. If i try to scroll (start over an image with a hidden caption) on the touch device, it doesn’t scroll. Over an image with a visible caption it works. Correct, the script does not provide an option for this. When an image has its caption shown (has been tapped once), you can see the event returns true (line 6), thus continuing ‘normal operation’ (eg. scrolling, or whatever the touch gesture is causing the device to do). Though when the image has not been tapped yet, it performs a ‘preventDefault’ (basically the same as a return false), prohibiting other actions to execute. As this is the ‘core’ of the script (preventing the first tap), I cannot change that for you I’m affraid.